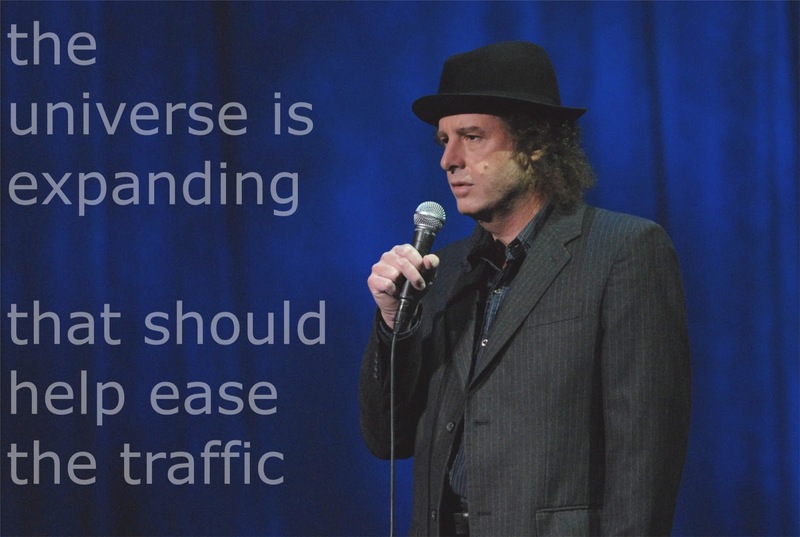 Steven Alexander Wright or simply Steven Wright is an American comedian, actor and writer, popularly known lethargic voice and deadpan delivery of his jokes and oneliners. Don't you hate when your hand falls asleep and you know it will be up all night. George is a radio announcer, and when he walks under a bridge... you can't hear him talk. I had a friend who was a clown. When he died, all his friends went to the funeral in one car. I hooked up my accelerator pedal in my car to my brake lights. I hit the gas, people behind me stop, and I'm gone. I met this wonderful girl at Macy's. She was buying clothes and I was putting Slinkies on the escalator. I went to the bank and asked to borrow a cup of money. They said, "What for?" I said, "I'm going to buy some sugar." If it's a penny for your thoughts and you put in your two cents worth, then someone, somewhere is making a penny. Last night I stayed up late playing poker with Tarot cards. I got a full house and four people died. My neighbor has a circular driveway... he can't get out. When I woke up this morning my girlfriend asked me, "Did you sleep good?" I said "No, I made a few mistakes."